'In the picture book of marriage, they were the perfect married couple. It was a story told for an audience.' What does this extract tell us about Sonia and James's relationship? What changes between them as the novel progresses? Is James a villain? What tactics does he employ to control Sonia? Why are music and dance so important to the characters in The Return? What does the way a character dances say about them and their relationships? Why is Sonia so drawn to flamenco in particular, and why does James disapprove of her dance classes so vehemently? 'We need real men in this country … Spain will never be strong while it's full of fairies.' What image of masculinity do the Ramírez males – and the other men in the book – present? Is maleness portrayed as a good or bad thing? How do women exert their power? Did you identify any family traits that ran through the Ramírez generations? Does Sonia take after her father or her mother, or any of her other relations? 'For Ignacio, there was a distinction between what he regarded as being a casual informer and actually being an assassin' Why does Ignacio make this distinction? Is it an accurate one? Where else in the novel are we invited to compare physical violence with more subtle forms of cruelty? 'The saints and martyrs with their painted on blood and theatrical stigmata had once been part of her life. Now she saw the church as a sham, a cupboard full of redundant props'. Why does Mercedes lose her faith? How does The Return portray religion and particularly the Catholic Church? What does this book have to say about friendship? Is blood thicker than water? 'The lack of truth in [Concha and Mercedes'] correspondence did not mean there was no love between them. It merely meant that they loved each other enough to want to protect the other party'. Who else withholds information in the novel, and why? What is the role of these secrets or non-disclosures? How do they affect the plot? What did you make of Javier and Mercedes' relationship? Is it a childish infatuation, a survival tactic, a 'fathomless love', or what? What does The Return have to say about politics? To what extent does it affect real life? Did you detect a political bias to this book? If so, what is it? What is the relevance of bull fighting in The Return? Does it tell us anything about Spanish culture or the Civil War more generally? Is it relevant that Republican citizens are assassinated in Granada's bullring and that Ignacio is hunted and killed like a bull? If so, why? 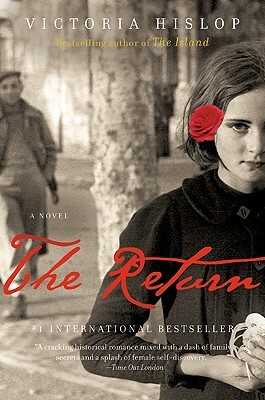 How does the history of the Ramírez family represent the Spanish Civil War more generally? Do you find their story a good way of conveying the history of the Civil War? Is Victoria Hislop successful in melding fact and fiction together? "Antonio discovered that there was nothing more brutalising than to drive a bayonet into another human being and in this killing he felt part of himself die too." How does Antonio's perspective on killing compare to Ignacio's, and to other characters'? Were you surprised by the novel's violence? How does Victoria Hislop treat the subject of death in her writing? Whose story did you enjoy most? Did the different strands hang well together, do you think? "On his outstretched hand lay nothing more than a small mound of dirt, a pathetic sample of Spain's soil that he had brought with him over the mountains." What does this old man's gesture tell us about the emigrant experience? How do other characters in the book think about exile and home? If you have read The Island, what similarities and differences did you identify between the two novels? Are there any plot and structure devices common to both? How do the two heroines, Sonia and Alexis, compare?